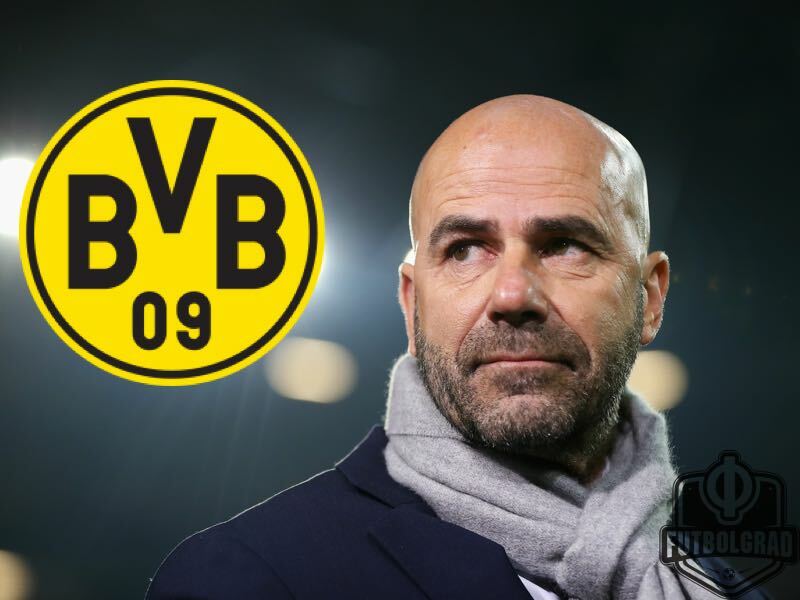 Peter Bosz – Who is Dortmund’s New Bench Boss? These are turbulent times for Borussia Dortmund fans. Last Tuesday the club announced that they would go separate ways with head coach Thomas Tuchel. Tuchel had averaged 2.09 points a game while at the club, but his man management skills have alienated him from the squad and also the upper management. 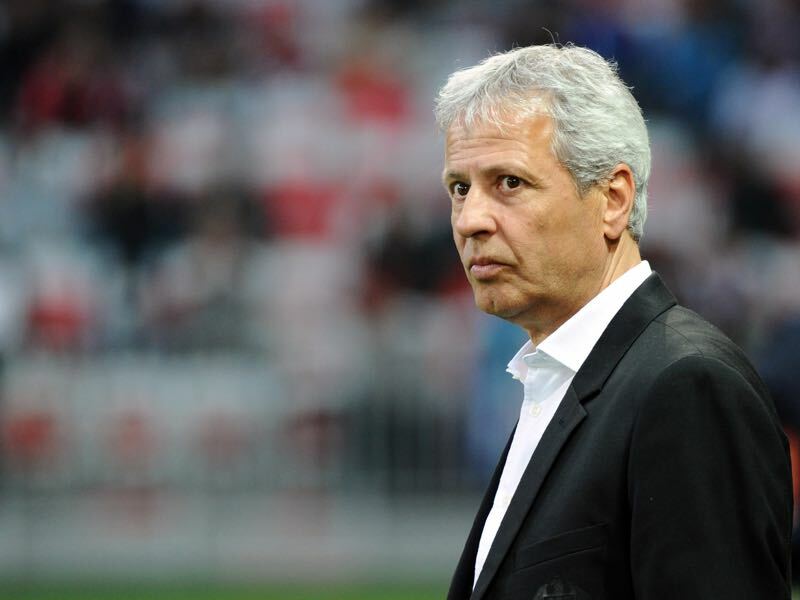 The club has been heavily linked with Lucien Favre, but his current club OGC Nice were not willing to negotiate his release, and it now appears that Ajax Amsterdam head coach Peter Bosz is set to take over. Favre would have been an excellent choice to take over as the new head coach. The Swiss head coach is not only tactically astute but can also develop young players, as well as unite fan groups behind his brand of football. But there is also a more difficult side to Favre. The Swiss coach left both Hertha Berlin and Borussia Mönchengladbach under difficult circumstances and is known to make quick emotional decisions. But with Favre unavailable Dortmund had to identify an alternative. Köln’s Peter Stöger and Peter Bosz were quickly identified as the next top candidates. The problem with Stöger, however, is the fact that Köln do not want to release their hugely popular coach and that Stöger is reluctant to move to Schwarzgelben. Peter Bosz is, therefore, the only candidate left to take over at Borussia Dortmund this summer. The Futbolgrad Network has since learned that Peter Bosz will officially be announced as early as Tuesday. Dortmund will pay €5 million to Ajax Amsterdam, which will make Bosz the most expensive coach transfer in Bundesliga history, and the Dutchman will receive a yearly salary of €4 million. The move to Dortmund symbolises the latest career step in Bosz rapidly ascending coaching career. Bosz’s coaching career begun in 2000 at the Dutch lower division side AGOVV. From there he moved to De Graafschap (2002) to Heracles Almelo (2004), to Feyenoord as technical director (2006), back to Almelo (2010), then to Vitesse Arnheim (2013) before finally achieving his major break through as head coach of Maccabi Tel Aviv in Israel in 2016. Bosz took over midseason from Slaviša Jokanović, who signed for Fulham. In the remaining 20 games, Maccabi came within three points of winning the Israeli championship, and Bosz managed a point average of 2.15. With Bosz in charge, Maccabi believed that they would be in a good position to challenge for the Israeli title in the 2016-17 season, but back in the Netherlands long-standing Ajax coach Frank de Boer had announced his resignation, opening the door at a massive rebuilding project at the Dutch giants. Ajax are an institution in Dutch football and could have easily signed a big name coach. The club needed someone, who could reignite not only the philosophy of playing with young talented players, but also the Ajax spirit of playing refreshing attacking football based on the club’s traditional 4-3-3 formation. Those were major tasks, and Bosz almost failed at the first step after Ajax were eliminated in the Champions League playoff stage by FC Rostov. With an average squad age of just 22.7, it was, however, no surprise that not everything was going smoothly. Regardless Ajax started well in the league and kept up all season with eventual champions Feyenoord. 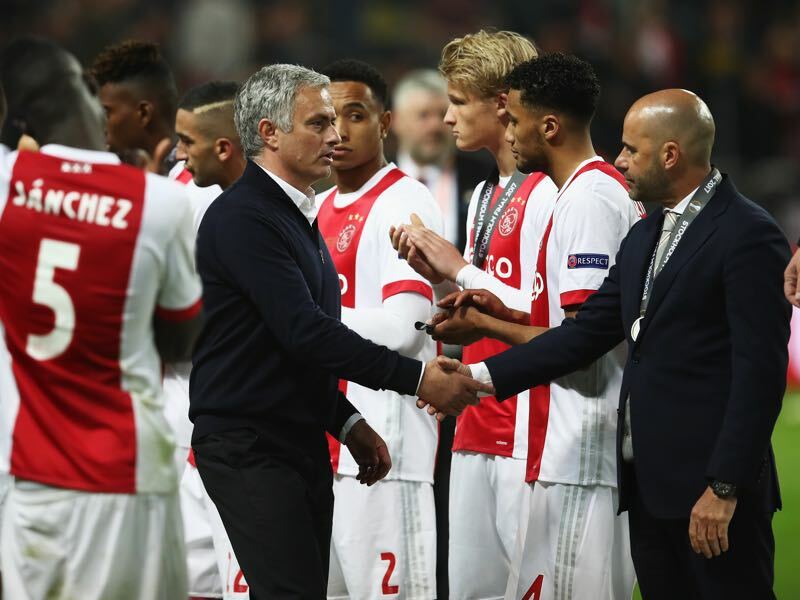 Furthermore in the Europa League Ajax quickly capture the hearts and minds of neutral football fans by playing a refreshing attacking brand of football, the Ajacieden stormed all the way to the final where they were beaten by the English Premier League club Manchester United 2-0. There was no shame in the defeat, however, given the fact that they lost to a club that had spent more on one player last summer than what had been the combined transfer value of the entire squad at Ajax. In fact, Bosz had done wonders with a squad of young players that will collectively have a significant impact next summer in the Netherlands and Europe and individually become the speculation objects of the big clubs in Europe as early as this summer. Hence, despite the fact that Peter Bosz has missed out on titles he has achieved the most important objective Ajax have once again developed into a club that forges Europe’s most promising talents. That latest point was also the main reason why Borussia Dortmund have decided to approach the Dutch coach and make him the new head of the Borussia Dortmund youth project. BVB’s management hope that unlike Tuchel Bosz will be entirely dedicated to working with Borussia’s young squad and also willing to work together with the highly experienced scouting department to identify young players that can bring the club forward immediately. Recent transfer activities by the club show that Dortmund will continue their path of signing young players that are still adaptable. On Monday morning the club announced the signing of French defender Dan-Axel Zagadou and later that evening it emerged that Borussia Dortmund were going to sign Maximilian Philipp for €20 million from SC Freiburg. Philipp and Zagadou are already Dortmund’s third and fourth transfers this spring. The club has also signed Gladbach young star Mahmoud Dahoud and Bayer Leverkusen defender Ömer Toprak. The four will join a highly talented squad that by any account will be perfectly balanced to fit into Bosz’s attacking philosophy. His coaching abilities aside there is another aspect that has been important in choosing Bosz. At Ajax, the 53-year-old was more than capable to navigate the not always easy political world of the club. Former players like Edwin van der Sar and Marc Overmars are very much involved in the organization’s operational structure, and Bosz had a fine nose for getting his way without stepping on the feet of the club bosses.